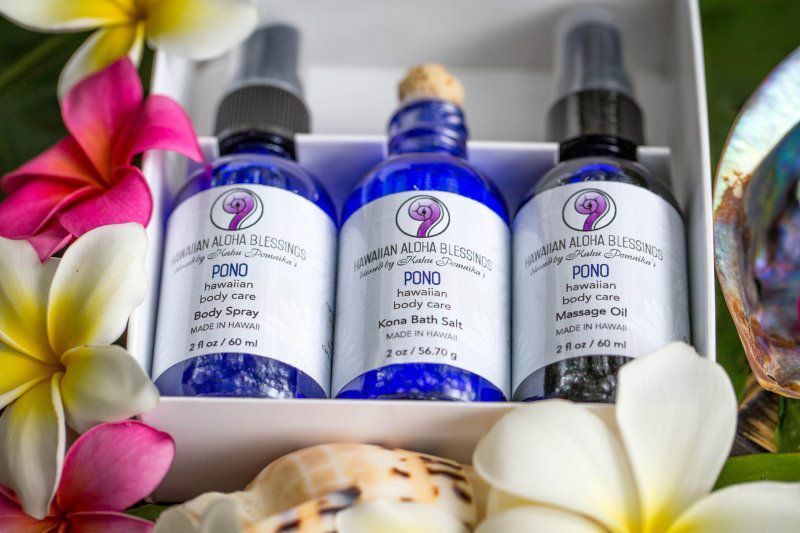 The whole line of Pono Hawaiian Body Care products beautifully wrapped in a pure white, custom made package and tied with a custom crafted purple ribbon. Pono Hawaiian Body Care is committed to bringing naturally beneficial products to all those privileged enough to enjoy it. 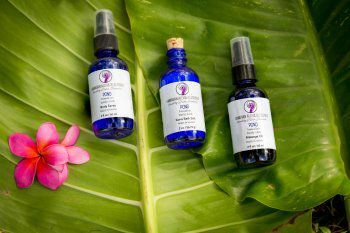 Using only certified organic and pesticide free ingredients, these products are beautifully hand crafted. 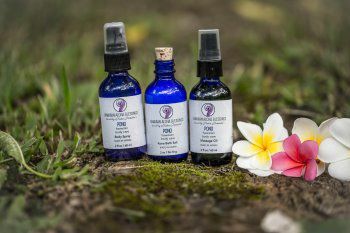 Sharing the abundant energy of the earth, these infusions are authentically sourced from nature. MAY BE USED FOR: Deepening connection and bringing forth a sacred union between couples, uniting the physical and spiritual. MAY relieve anxiety, insomnia, depression, frigidity and impotence. MAY also serves to ease emotional headache and stress. SUGGESTED USE: Shake and mist around body or space to uplift spirit. SUGGESTED USE: Apply liberally as an after bath moisturizer. Use to soothe dry and chapped skin. SUGGESTED USE: Shake, smell and uplift your spirit anytime. If desired, empty entire contents into a full bath for a relaxing, luxurious and energetic cleansing experience. CAUTION: KEEP OUT OF REACH OF CHILDREN. DO NOT INGEST. FOR EXTERNAL USE ONLY. DISCLAIMER: NOT INTENDED TO SUBSTITUTE THE ADVICE GIVEN BY A PHARMACIST, PHYSICIAN, OR ANY OTHER HEATH CARE PROFESSIONAL. WARNING: DO NOT USE If you are pregnant, plan to become pregnant or while breastfeeding. Consult your doctor or pharmacist.